It’s little, it’s free, and it’s good for you. It’s a national movement that Green Spring Gardens has joined. Little Free Libraries started in 2009 when Todd Bol of Wisconsin built a model of a one-room school house as a tribute to his mother, who was a teacher with a love of reading. He put the house in his front yard, filled it with books, and neighbors borrowed them as they wished. It was a huge success, the news media spread the word, and Bol was soon making and giving away houses. Rick Brooks of the University of Wisconsin learned of the houses and, inspired by a program called, “take a book, leave a book,” teamed with Bol to place houses in public spaces such as coffee shops. Most were funded by philanthropist Andrew Carnegie. By the end of 2013, Brooks and Bol had established 2,508 Little Free Libraries. Fast forward four years. I overhead Master Gardener and Friends of Green Spring (FROGS) board member Tatiana Lisle talking about a little library for the Children’s Garden at Green Spring. Community Horticulture Supervisor Pam Smith was considering placing one near the Children’s or Wildlife Gardens. By chance, there was a Little Free Library close to my home that was modeled after nearby townhouses, complete with spindles, shutters and wood siding. That led me to its builder, Glen Crumley. The retired Navy pilot and grandfather of five offered to build a house for Green Spring for just the cost of supplies. Green Spring is working with FROGS to keep it stocked with children’s books on gardening, vegetables, worms, butterflies, and other appropriate topics. Keep an eye out for it on your future visits to Green Spring Gardens, and borrow one of the books. You may find this little, free gesture will bring something nice to your life. Information about the Little Free Library at Green Spring Gardens is available at the park. Author Gioia Caiola Forman is a Master Gardener and a Friend of Green Spring board member. 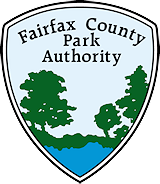 This entry was posted in Uncategorized on November 13, 2017 by Fairfax County Park Authority.